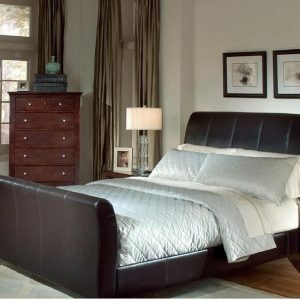 This collection features a contemporary look that is sure to give your bedroom a unique style. The Cherry finish is complimented by brushed nickel hardware. Also available in a combination Black and Cherry finish.